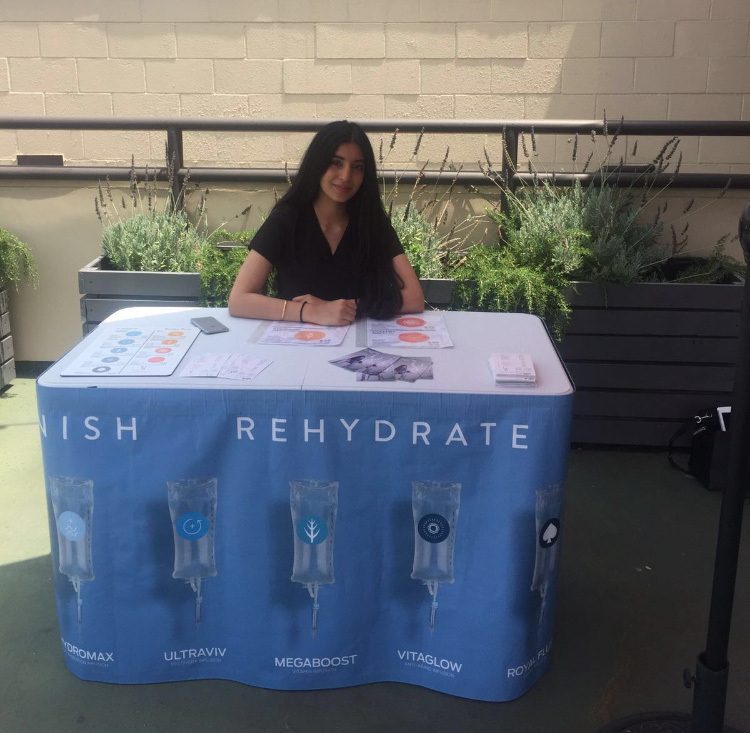 On July 30th 2016, REVIV, a global wellness company specializing in IV therapy and vitamin booster shots visited the LIT Method gym (www.litmethod.com) located between Beverly Hills and West Hollywood at 613 8474 W 3rd Street #214. The REVIV nurses offered and administered a selection of booster shots to the gym members including B12, Slimboost, Glutathione, and CoQ10+ shots. The event lasted the entire afternoon and drew strong interest from members between classes that were curious about the health and performance benefits of these injections. Most popular was the Slimboost shot for members that hoped to gain an added edge in raising their metabolism to lose weight in a sustained and natural manner. The CoQ10 shot was the second most popular for members looking to get that power energy boost and gain from the cardiovascular benefits of CoQ10. The REVIV B12 and glutathione shots also intrigued many members that were curious to introduce them into their ongoing health and wellness routines. The afternoon was a success and very informative to everyone that participated. REVIV plans to hold future events at LIT Method. For anyone that missed the event and is curious to learn the benefits of the booster shots, REVIV Los Angeles is Located a short distance away in Beverly Hills at 9735 Wilshire Blvd, Suite 204. Appointments are available online at www.revivme.com or by calling (310) 988-8766.